And so it came to pass that Gamer Son turned 11. 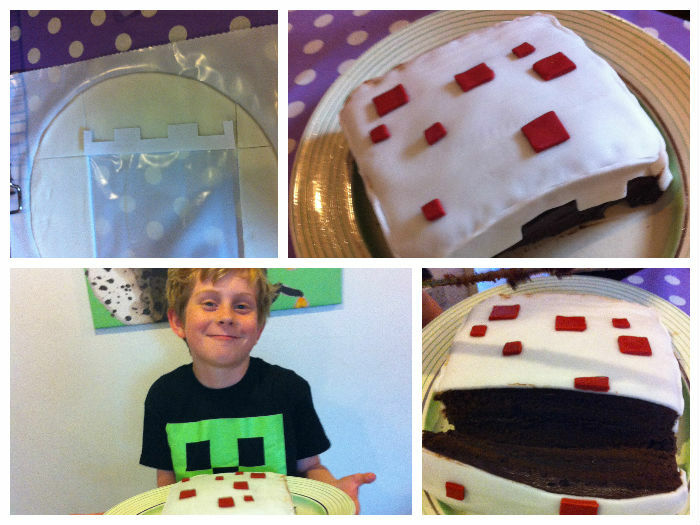 All he wanted for his birthday was a Minecraft birthday cake. Also possibly Mariokart 8 on the Wii U.
Alas I could not provide a Wii U, but a Minecraft birthday cake – that I could do. 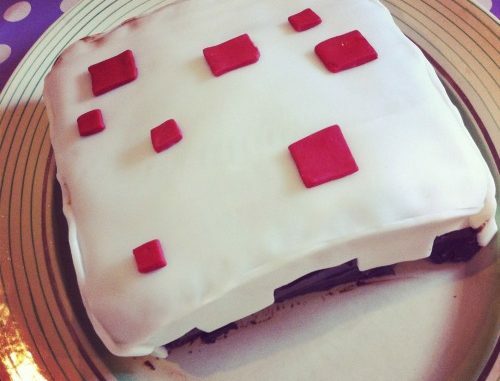 I followed this Minecraft cake recipe on All Recipes, which comes with a very helpful video. It makes for a fairly dense chocolate sponge which tastes GREAT. 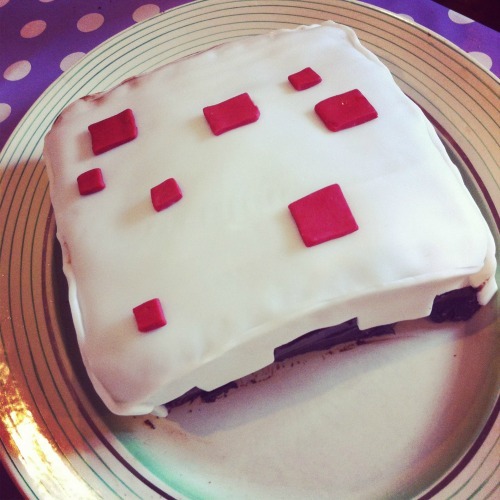 If you are planning on making a Minecraft birthday cake like this one, my advice is to take your time and pay attention to the details. 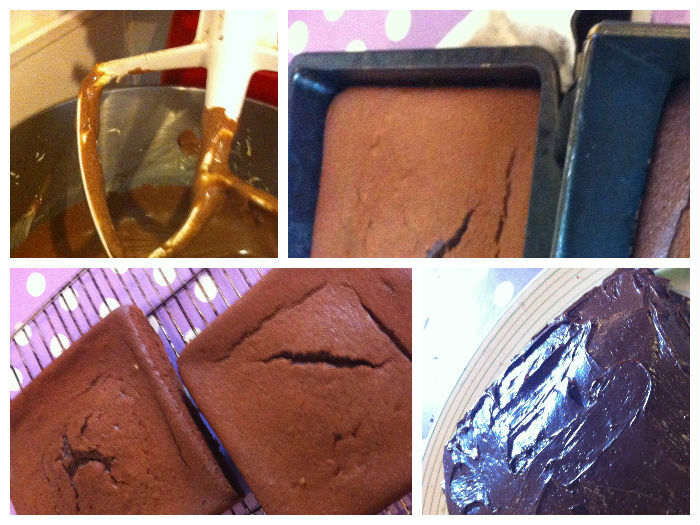 This took me 2-3 hours, although some of that was waiting for the cakes to cool. 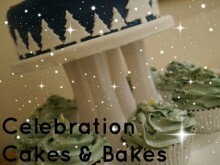 Often I rush that bit and the icing goes runny. I bought pre-rolled icing so ensure that the top was entirely uniform and smooth but if you’re confident of your rolling skills I don’t think that’s essential. I also bought ready made Betty Crocker chocolate fudge icing. I know full well how to make butter icing but I really wanted this to be perfect so I was trying to cut down the bits I could mess up. As it turned out it wasn’t entirely perfect as some of the chocolate icing escaped at the seams so the top wasn’t quite as smooth as I wanted it. But all the small gamer boys who had some liked it.